Claim your FREE BOILER today! Check that you qualify for a free boiler by visiting the How it Works page. Once you have confirmed you qualify contact us using the form to the right, by visiting the Contact Us page or calling us on O8452 332288. That’s right you may be entitled to have a brand new “A Rated” boiler supplied and fitted for absolutely nothing. That’s not a penny to pay now or at any time in the future. 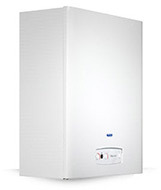 A brand new “A Rated” boiler will mean that you will be able to warm your house better, more efficiently and cheaper. While at the same time you will dramatically reduce the harmful CO2 that is released into the atmosphere. Under the governments ECO deal families on low incomes maybe entitled to various grants to make their homes more energy efficient. To find out if you qualify just contact us today. Qualification for a free boiler is dependant on the number of bedrooms a property has and wether or not the property has a cavity wall. Internal Wall insulation can be the ideal solution for heat loss especially in properties constructed with solid walls. These properties cannot be insulated through the traditional cavity wall insulation method.It is also ideal for properties were external insulation is not practical or permissible for example in conservation areas or on listed buildings. By insulating your external walls, a thermal barrier is created. This barrier prevents heat escaping from the room. At the same time, it prevents unwanted heat entering the room. This is similar to the way a flask keeps drinks hot or cold. The Room In The Roof (RIR) scheme is designed for the type of homes where the properties have bedrooms or rooms in the attic space. 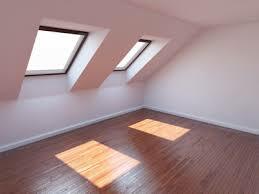 To qualify there must be a fixed staircase to the attic rooms NOT pulldown stairs or ladders. The scheme will insulate between the rafters in the eaves, the roof slope and the top ceilling (the tradional lofts space) Room in the Roof Insulation is 100% free of charge. It uses funding from Home Heating Cost Reduction Obligation (HHCRO). Under HHCRO applicants must be in recipt of certain benefits. To see which benefits qualify please click here. It is unsure how long this amazing FREE BOILER offer will last. The government have instructed the ECO deal to be funded by the energy companies. Hence the name Energy Company Obligation. Undoubtedly the energy companies will wish this scheme to come to an end as soon as possible. 1. “A Rate" your equipment. 2. Insulate your loft and walls. 2. Solar Panel your home. 3. Thermostatically control your heating. 4. Install Energy Star Windows. 5. Stand By-Turn off your appliances. 6. Lighting-use energy efficient light bulbs. If we ask you for a penny, ask us to leave!